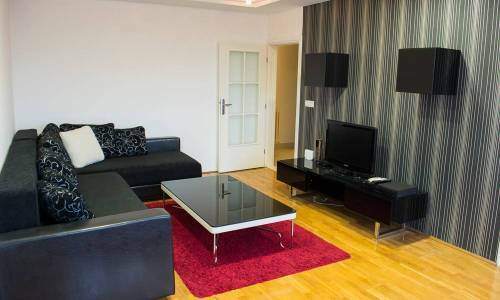 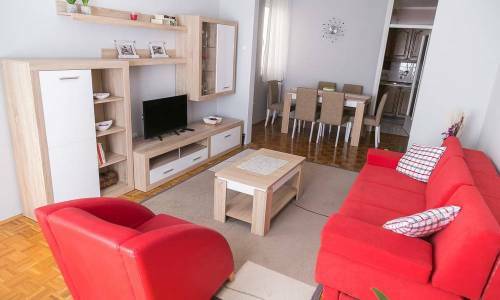 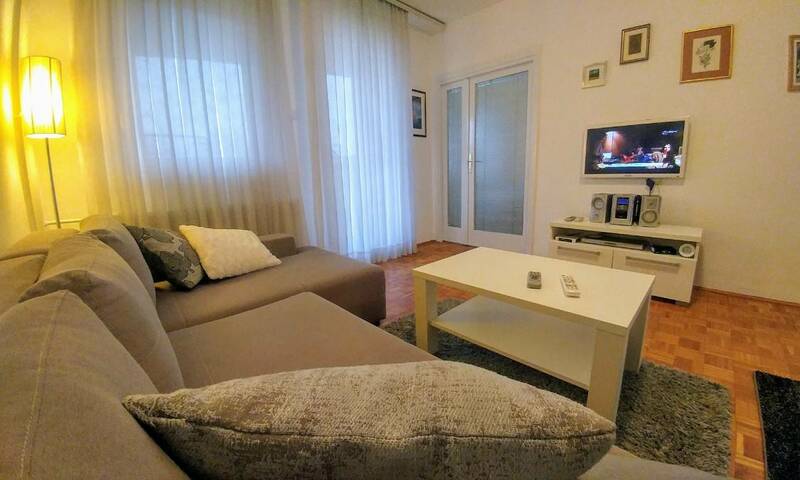 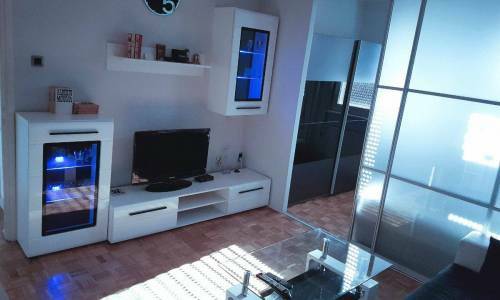 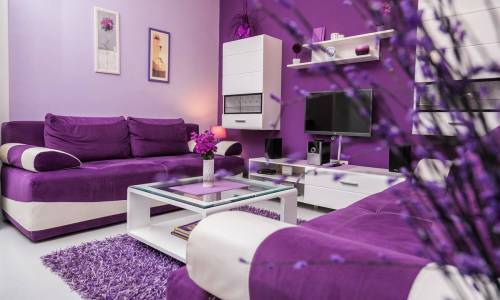 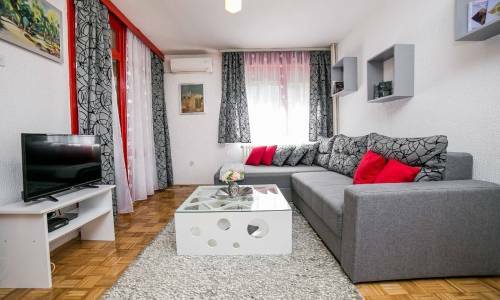 Apartment Simeon is located near Belgrade Arena, in Zorana Djindjica Boulevard. 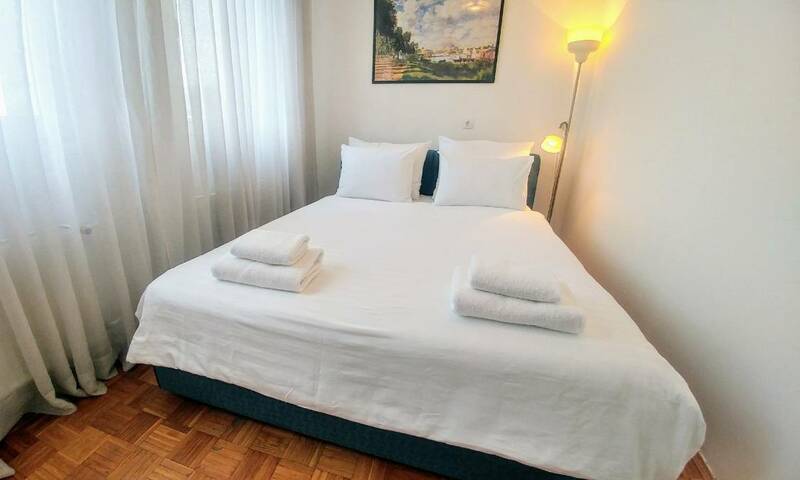 Simeon is superb accommodation for 4 adults in the very centre of New Belgrade. 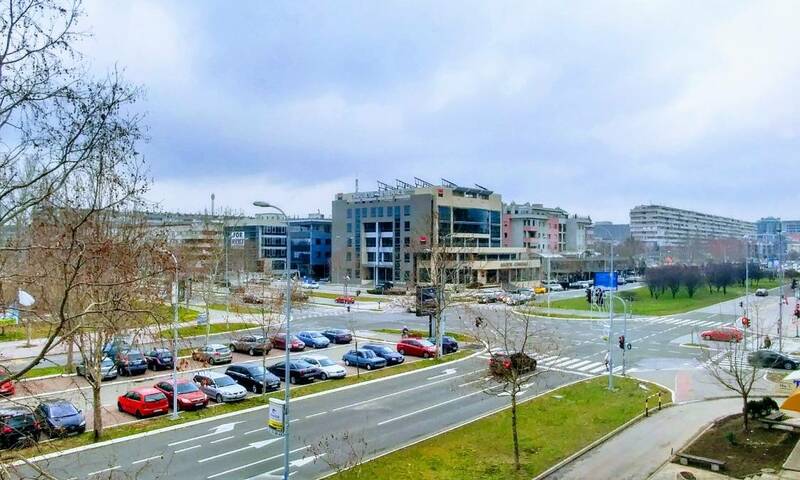 Sava Centre venue is only within 5 minutes of light stroll and Usce Shopping Centre is within 7 minutes away. 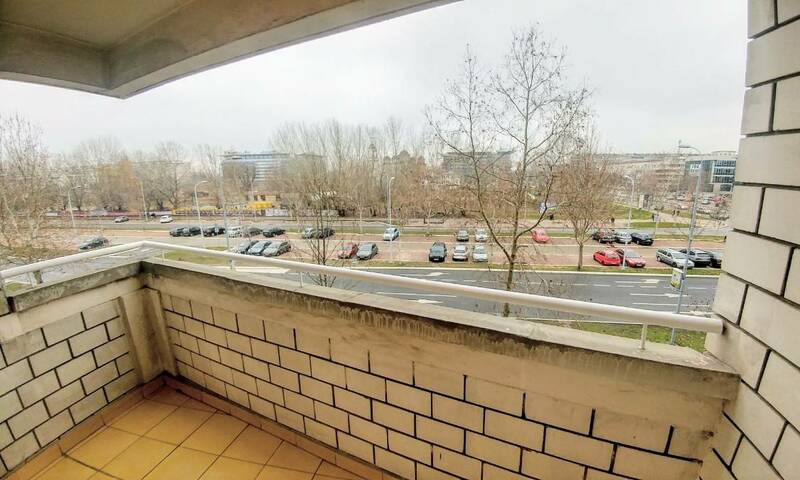 The highway is very accessible as it's only a few hundred meters away. 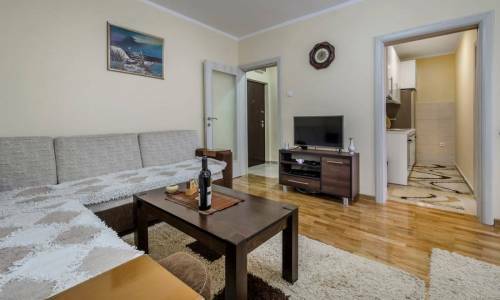 This exceptionally comfortable two-room apartment consists of a living room, bedroom, kitchen, bathroom and terrace. 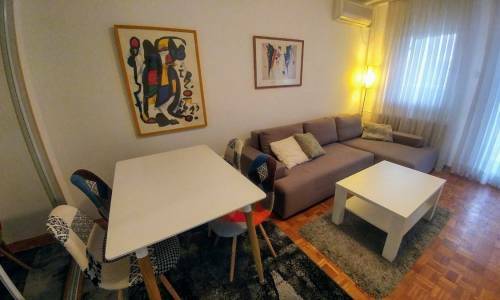 In the living room, the L-shaped sofa can be folded out into a double bed, and the bedroom offers a double bed, so the sleeping arrangement is 2+2. 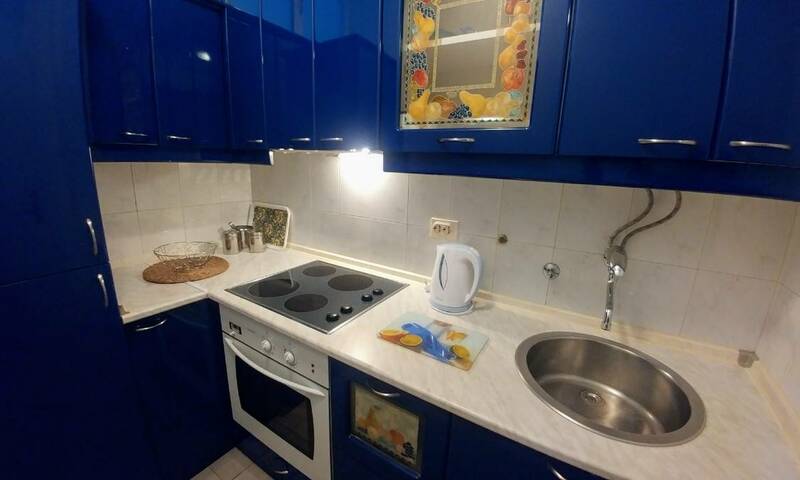 The kitchen makes a separate whole and is fully-equipped. 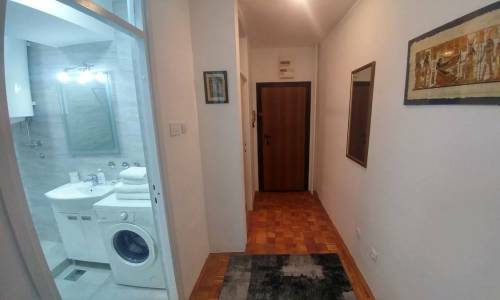 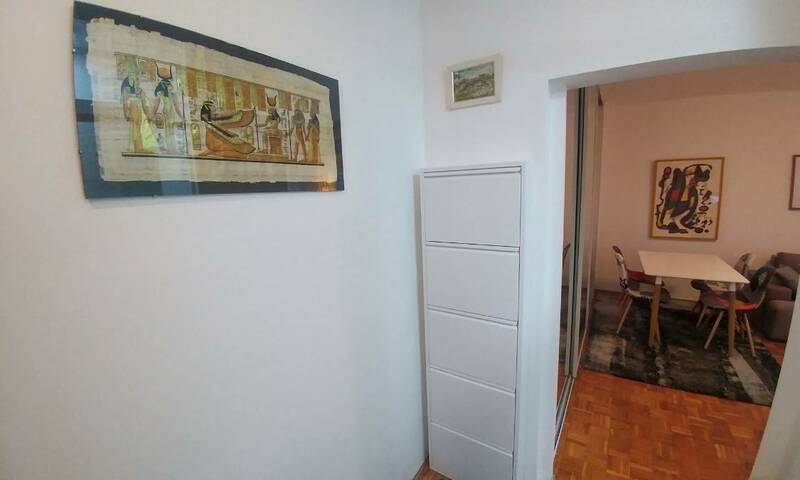 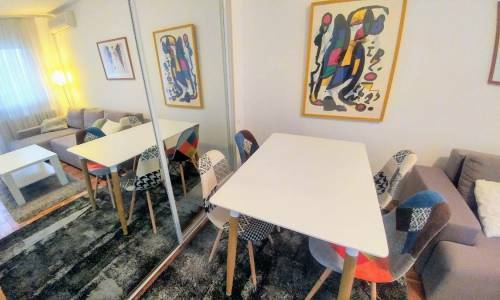 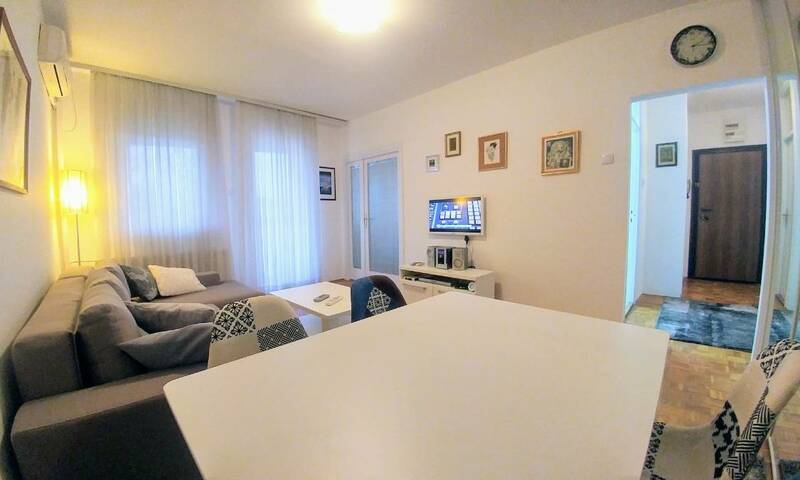 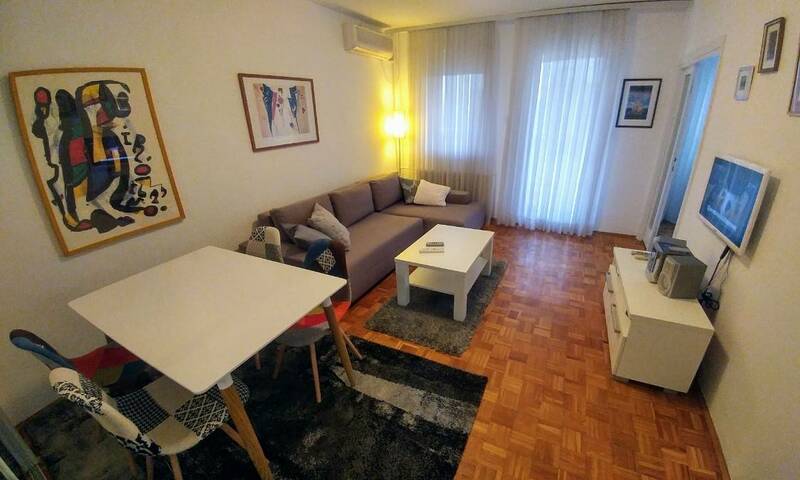 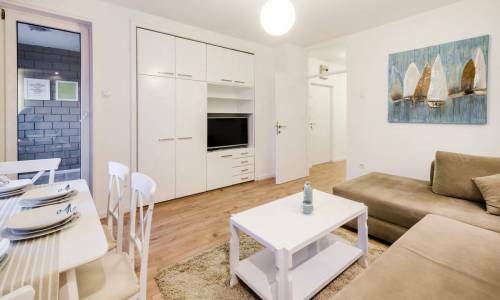 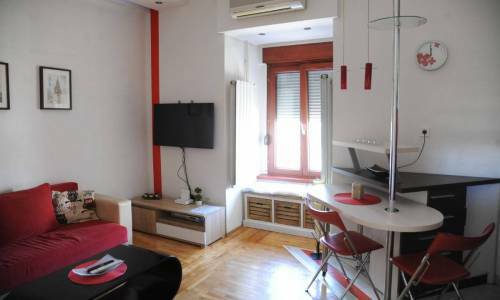 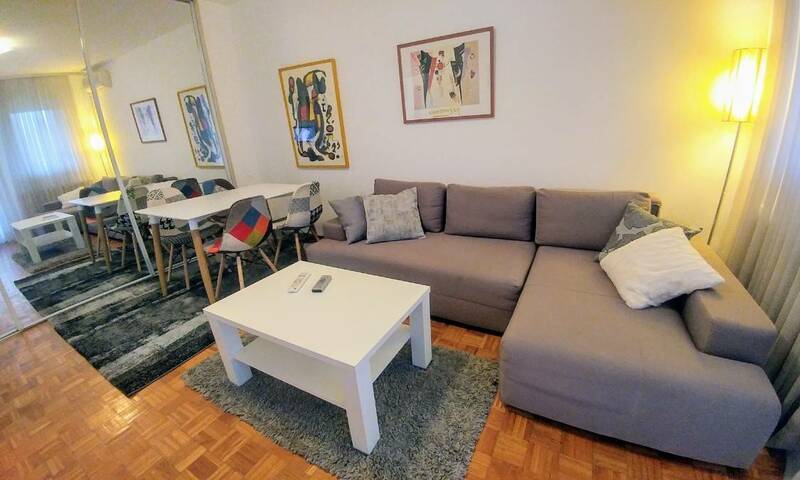 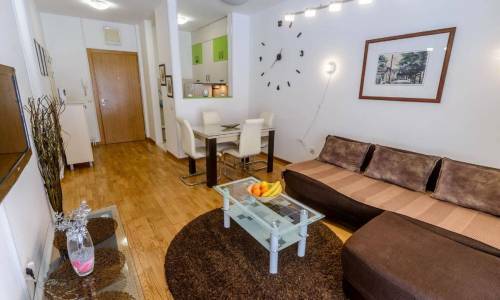 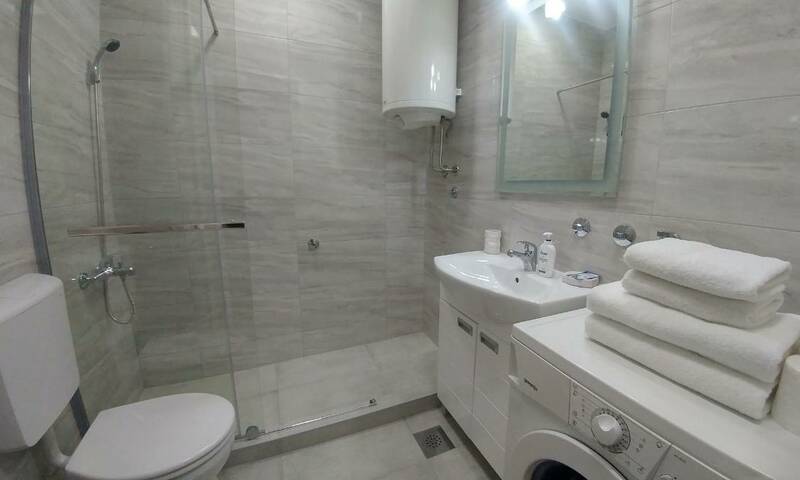 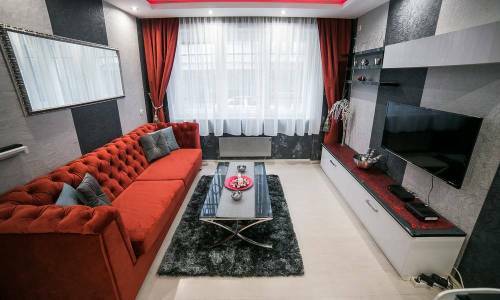 Simeon is particularly attractive for its price of 36 eur for 4 persons, which is very affordable, especially considering the fact that typical 20m2 studio apartments in this location cost around 35 eur. Simeon offers plenty of comfort, two rooms, accommodation for 4 at an acceptable price. If you're arriving by car, you'll have plenty of parking spots in front of and around the building.